The process will take at least 6 more months before being progressed to the House of Lords, if it is approved. So what happens to First Aid in Schools for Students in the meanwhile? I personally believe that every school child should learn basic first aid skills but this is time-consuming and costs are prohibitive to schools’ budgets. For the last six years I have worked hand-in-hand with Protrainings, the awarding body for our company, who have devised a free video online course to all school students in the UK. This video means that they can not only learn first aid skills but also learn how to use online training courses which will help improve their ICT skills. 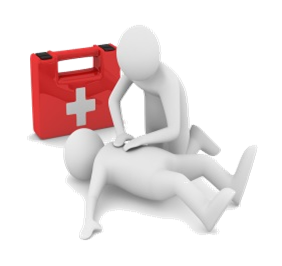 On the course various first aid subjects are covered to encourage children to help someone in need but to also ensure that they keep themselves safe at all times and make sure that they get prompt medical help where appropriate. You can register your school, club or organisation free with me, Martin, at Recovery First Aid Training, or if you are a student at school you can also register free of charge. Course Training Time: 1 hour video training plus approximately 15 minutes of knowledge reviews, final test, remedial help and reviewing downloaded material. The course can be taken in one sitting or at your leisure, for example completed over several PPE sessions at school. To find out more information, or to sign up for the free Student First Aid Online Training, please contact Martin who will help you.